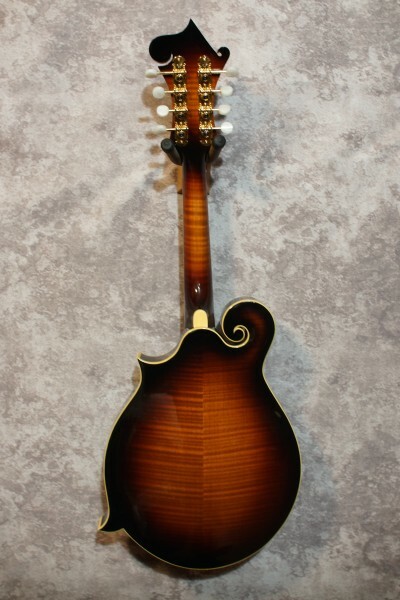 2006 Stonebridge made by Frantisek Furch of the Czech Republic. 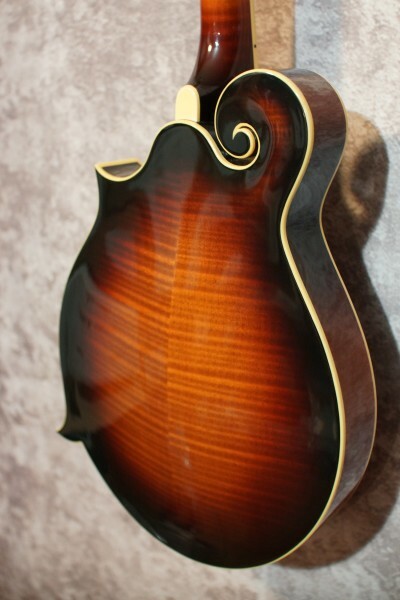 Mr. Furch is famous for his guitars but also built some very fine mandolins for a few years. 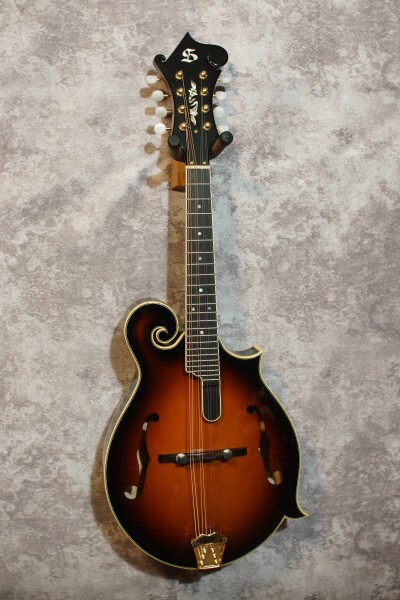 This one is model MF-23-SF. 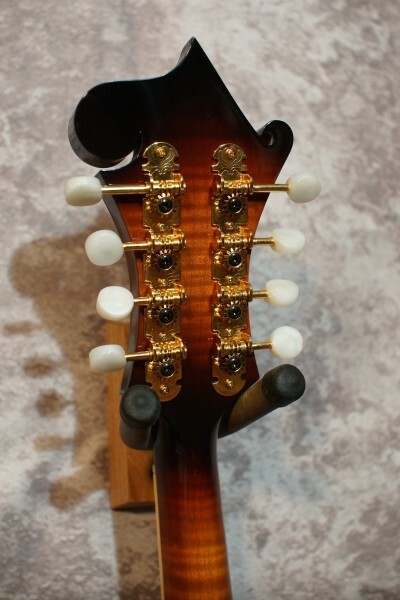 In incredible condition, you really have to go looking for any signs of use at all. 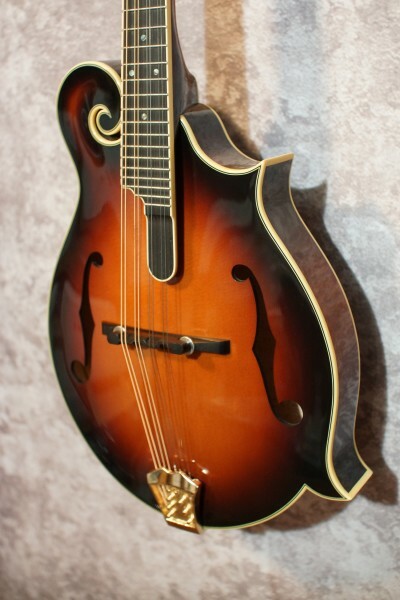 This is a very loud mandolin with a full tone. 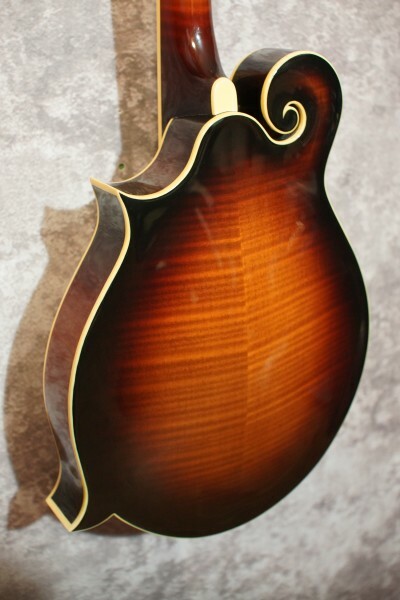 The treble courses have a lot of depth to them and are balanced nicely with the mids and bass. 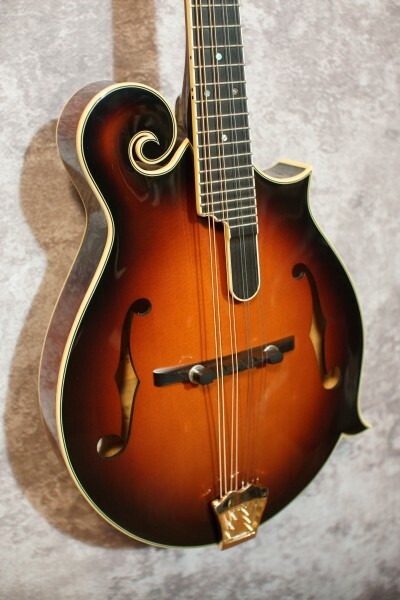 The tone and volume easily compete with mandolins costing much more. 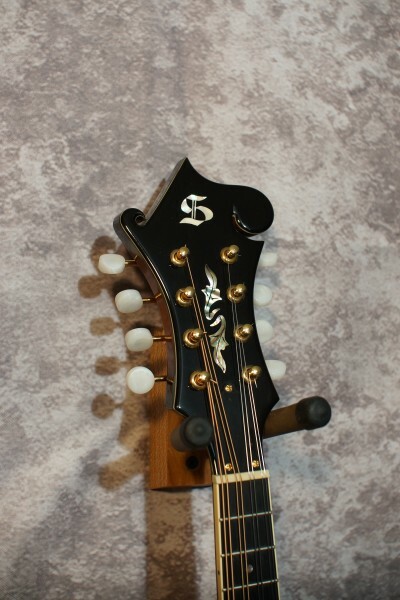 Spruce top, highly flamed maple back and sides, ebony fretboard (scooped extention), ebony fingerboard, ebony adjustable bridge, one piece cast tailpeice, fully bound with w/b/w purfling on top, beautiful MOP "leaves" headstock inlay, flat fretboard, 1-3/16" nut. Comes with a shaped hardhell case, also in excellent condition.